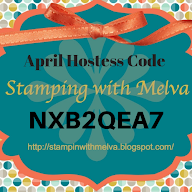 Stamp with Melva: Weekly Updates and a Share! 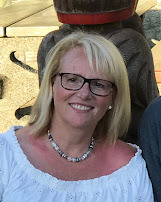 It's a beautiful day on Vancouver Island - such a treat in October to have a sunny day! I hope it's as lovely where you are too. Today I wanted to share with you a card I made as a Thank You for the sponsors of our 5th Annual Ronald McDonald House Stamp-a-Stack. This card was very quick and easy to make. 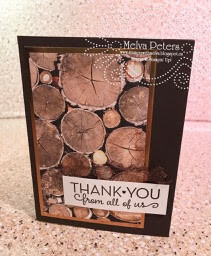 I love the Wood Textures Designer Series Paper. In this case, I added some Copper Foil as a background on Early Espresso Cardstock. It's hard to see on the picture but I added some Copper Trim behind the sentiment. The Copper Trim is so versatile. It is really easy to use to tie a bow or you can also pull the trim apart and make wider, abstract piece of ribbon.